Providing car for monthly basis. 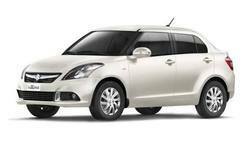 Sri Annpurna Tourism Is Specialized In Providing Luxary Car On Rent Services. Our Whole Lot Of Luxary Car Has Highly Spacious & Comfortable Seats. We Have Specialized Services That Provide SUV And Luxary With Ample Luggage Space To Varied Travelers. New Delhi & NCR limos and Exotic Car Rental is our Business Welcome to Luxury Transport your premier luxurious Transportation and Limousine service provider, Servicing New Delhi and NCR. If you are looking for an exotic Car like a Rolls Royce Phantom, a Mercedes Benz, or Perhaps a nice Bentley we are your Exotic Car Provider Look no further. We offer exclusive Car Rental Services in Delhi, for the tour and travel packages such as Taj Mahal Tour Packages, Golden Triangle Tours and other many famous tourist destinations. Our offered cars are manufactured by the reputed automobile organization, General Motors India, which confirm the impeccable quality of their vehicles. Avail form us taxis/ cabs for varied purposes, be it a business or aleisure trip. We offer maintenance free cabs and taxis at affordableprices to our clients.